Mumford & Sons LIVE!! ~ Learn, Live, and Explore! Honest people on Craigslist who don't scalp their tickets for the win! 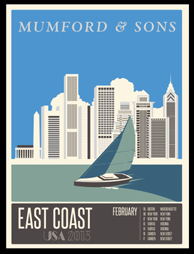 I had been looking for tickets to the D.C. Mumford & Sons dates, on their East Coast February tour, from they day they went on presale. No joke! The online ticket resellers are out of control these days, monopolizing the systems on sale dates so that real fans can't buy tickets at face value. Thankfully, I stumbled upon a Craigslist ad the night before the first of two shows and got a single ticket - just enough for little ol' me. If you haven't heard of Mumford & Sons yet, well why not? They just won a Grammy for Album of the Year last weekend for pete's sake! 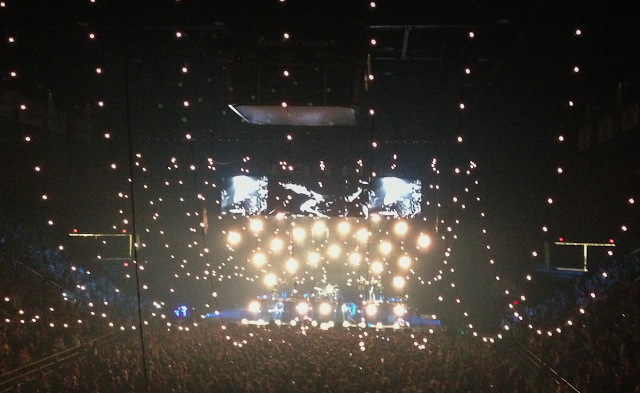 Admittedly, they have a sound that is not mainstream, but it is, nonetheless, very beautiful. 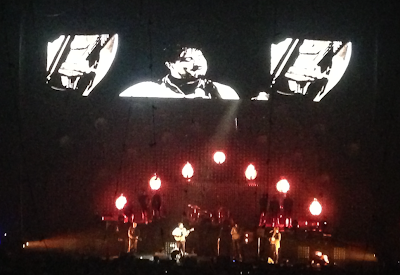 Each of the four band members are extremely talented, both musically and vocally, but of course the most magnetic voice of the group is the soulful and distinct one of Marcus Mumford. The concert was absolutely brilliant! There is just something about watching a music show that is obviously not manufactured or overworked (save some basic lighting effects). Plus their style really lends itself well to a show that's all about a pure folk rock/celtic rock/bluegrass/"something all of its own" sound blend that is equally entertaining, engaging, and energetic - even on the slow songs. The band surprised everyone in the audience for the encore by coming to the rear of the floor and surrounding a single stand microphone to sing two a capella songs, before returning to the stage to sing one of their most popular hits. What a great night! Can I go to the 2nd show tomorrow? Note: apologies for the camera phone images! It's all I brought and the battery died right before the encore.